Don't you just hate when you miss your favorite meal because you are lactose intolerant? It’s painful to realize that something that’s part of our staple meal for most people doesn’t get along well with you. But one thing’s for sure, living with lactose intolerance is navigating a dietary minefield. First, you need to be skeptical and careful about every bit whey protein powder for lactose intolerance. It doesn’t take long before you start choking your friends with a funny smell. Second, with so many protein powders on the market, there is somebody selling what they don’t promise. The good news is that this doesn’t have to be you. And today, we’re showing the best protein powder for lactose intolerant people. 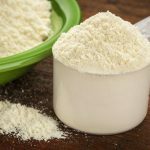 But before we jump into the nitty-gritty of protein powder, there are some things you need to know about lactose-free protein powder. Ready let’s dive right in. It’s no secret that getting a spoonful of protein powder helps you nourishes your body and keeps you satisfied for all long hours. 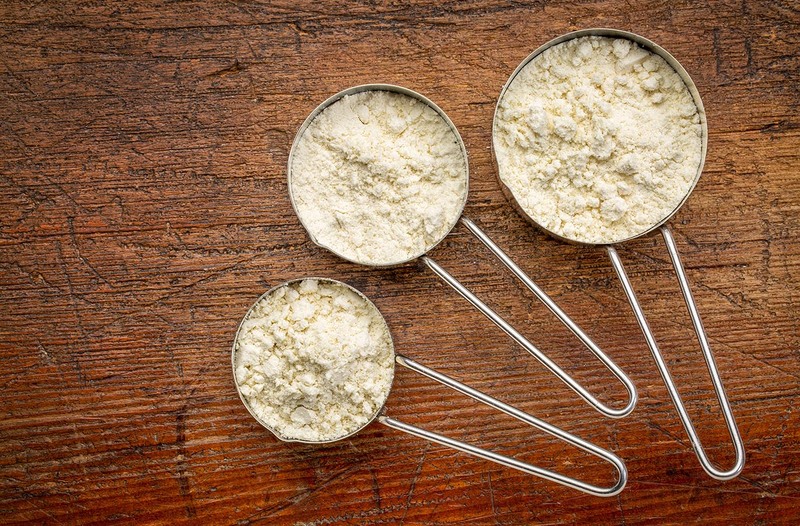 Here are the things to keep in mind when looking for a protein powder. Believe it or not, not all proteins offer equal nutritional value. 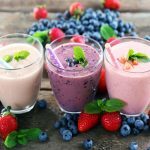 For instance, you can get all your body’s dietary protein requirements if you consume shakes or drinks from whole food. Surprisingly, shakes usually contain fewer nutrients compared to whole food. This means, whole food can give you more nutritional punch, but they can’t help you lose weight like shakes. With so many proteins on the market, there’s one catch: Understanding every type and using them correctly. Whey protein is present in milk. To make it safe, whey is processed to remove the lactose component in it. When purchasing whey protein, it is safe to read the table and find out the amount of lactose it has. Whey protein boosts energy and it’s best consumed after a workout session. Soy is another type of protein, that’s known for reducing cholesterol and easing the symptoms of menopause. It is the perfect protein for people suffering from osteoporosis because it helps them build bone mass. Key component you will find in soy protein include isoflavones and it has the role of promoting a healthy bones and hearts. Pea protein comes from dried split peas. It is a plant-based protein and it is perfect for vegans and vegetarians because it doesn’t come from animals. Hemp protein comes from the cannabis plant. If you are a vegan or vegetarian, you’ll enjoy using the hemp protein. There used to be so many myths about eggs, today myths have been discarded. Most protein powder contains a high concentration of egg-white isolate and it is perfect for people experiencing milk allergies. Unlike most of protein powder from milk, egg protein is always of high quality. Matching Protein Powder to Your Needs. (1.) Building muscle– if you are buying it to build muscle, you need protein have a high biological value. Whey isolate are the best for your case. (2.) Lose weight– if you are buying protein powder for the sole purpose of losing weight. Then you need a product that has no added sugars or dextrines, because they will help with muscle growth and weight gain. If you are lactose intolerant or if this is your first time, you need to understand the terminology so that you are not left out guessing. Protein concentrates– these are powders that contain 70 to 80% protein after carbohydrates, minerals, moisturiser and fats have been removed. Protein isolates– these are powders which have non-proteins removed and contains 90% protein. Hydrolysates- This term refers to the presence of digestible proteins that are beneficial to the body. When shopping for a powder you want to always make sure that it is protein isolates and hydrolysates. This guide will be incomplete if I didn’t mention the difference between the two because they play a key role when you are buying a protein powder. The core difference between WPI and WPC is the size of molecules. In fact, the molecule size determines whether it is easily digestible or slow. Small molecules are easily digestible than large and medium size molecules. This is the reason why you see a higher biological value (BV) rating in WPI compared to WPC. And because of this, it won’t surprise you to find people considering WPC to have fillers or inferior. 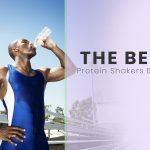 There are lots of protein supplement on the market and lots of companies are doing a lot to promote them. Just because a celebrity or famous person is using the product, doesn’t mean it is safe for you. You have to do your own research and get know the ingredients in it. It won’t surprise you to find out that most of the daily recommendation is calculated based on the daily needs of a professional athlete instead of the average user. 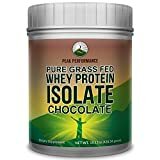 Now that you know what to look for a in protein powder, let’s look at some amazing protein powder for lactose intolerant people. It has a thumb of approval from scientists to be fast in digestion and 100% whey protein isolate. Unlike most protein powders that comes with lots of ingredients, this product has only two ingredients. Imagine two ingredients alone and if you are a regular user, you may ignore or neglect it. If you are a sports person, you will enjoy using optimum because it will help you recover and restore your muscle after intense training or exercise. A blend of whey, casein, and eggs, means that absorption will take place fast in the case of whey, slowly in the case of casein and eggs. And the good news is, it will happen without you experiencing any stomach upset. Whether you are beginner or your goal is to build muscle along with improving your immune system, this product is worth a try. And that’s why it has gained lots of followers since the day it went on the market. There’s a reason why it’s called muscle milk and I can’t think of anything else besides it having 32 grams of protein per serving. The amazing thing about this product or any pea protein powder is, they are gluten-free, soy-free, lactose-free and fat-free. And this is a great because it means any person can use it without feeling any allergies. Egg is a gold standard when they are looking to create protein powder. And that’s the reason why Optimum nutrition choose egg as a main ingredient in this product. This is an excellent choice for vegans or vegetarians because soy is a plant-based protein. A good soy protein powder like Bulk supplement offers 20 grams of protein and you can take with any servings. 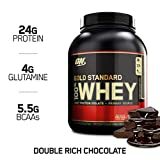 You may feel that it is less than what optimum nutrition whey protein powder provides, believe you me, this is essential if you want to up your athletic performance. The 15 grams are perfect for the average user. The dymatise ISO comprise of 12 flavors to choose from, or, like me, you can alternative and try out different flavors. There are lots of protein powder on the market that are not approved scientifically. The opposite is true for Dymatize. Putting scientific facts aside, if you dislike fats and sugar in the protein powder, then you’ll love Dymatize because it has 1 gram of fat. On tastes side, you’ll find the powder to be sweet and mild. In fact, the tastes resemble a frothy, creamy shake. shake digest fast and reach your muscle. Free from gluten and lactose. Perfect for vegans, vegetarian and lactose intolerant persons. The biggest challenge you will face if you choose to stay organic or do green living, is you won’t find a supplement without fillers. It looks like no supplement can be made without adding fillers. That might be true, but the case of Grass-fed Whey Protein Powder is different. The key ingredients are grass fed whey protein isolates and lecithin. Because you won’t find any fillers or additive in this product, there is one thing we can admit. It is unflavored and you may find it hard to use like others. But what I really like about it, is they are not adding bad fillers to make it tastes good in your mouth and sell it expensive. They are selling it the way it is because the health benefits you get from it without the fillers. 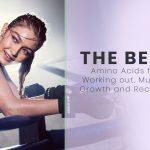 You are perfect for this product, if you are fitness aficionados and you want at least 27 grams of proteins per serving to supplement your diet. What makes optimum whey protein top my list is because it has 20 flavors. And you have the option to try each of those flavors to find the one that goes well with you. You can choose from chocolate mint or delicious strawberry. This is a product you won’t get bored with anytime soon because you can always switch from flavor to flavor. So easy to use that you need is a blender (but not necessary) or you simply mix it in a shaker bottle or cup and you are good to go. You will love it when you use it with desserts or anything else you enjoy taking. Finally, and most importantly, the optimum nutrition powder is pocket-friendly. You don’t have to think twice about getting this product. Comes in 20 flavors to suit your taste buds. Comes in different kinds of services. 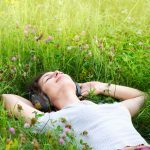 You can experience bloating, but this varies, because not all people experience the same reaction. To maximize muscle building, the JYM supplement contains whey, casein, and egg proteins. And the best part is, you’ll find different flavors available for you-from protein shakes to creams. That means, you can enjoy your favorite after workout. You can also include it in your meal or put a dose in your snack. Besides protein being major ingredient, you'll find calcium present for strong bones and muscle. Sodium at 8% and cholesterol level at 5%. You are getting a penny of every dollar thanks to the micronutrients present in the supplement. If you are on a strict Paleo diet, you are not left out, because the Peak Performance Pure grass-fed whey protein isolate was designed for you. The name alone, will tell you a few things about this product. First, the product comes from grass-fed cows with no hormones or steroids. Second, the amount of protein is so high compared to the carbs. To use this product, you don't have to be in the best shape, any fitness pundit or beginners can use it. 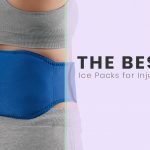 This can mean lots of things for an athletic or fitness enthusiast. First, it is a great protein powder if your main goal is to increase lean muscle. Second, it offers a great boost for muscle recovery. Besides having 32 grams, this is a product you can mix it with your favorite shakes, supplement, smoothies or any meal. 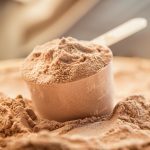 And if that’s not enough, reading from the product manual, you’ll find that it is a rapid-fire absorption protein and contains whey protein hydrolysates. In layman terms, it is easily absorbed and digested in the body. Another one perk is that it comes with 5 grams of dietary fiber. And that is not the only ingredients, you will notice calcium, iron, and biotin which are an essential mineral for your body. Besides Optimum nutrition Gold standard topping my list, there’s every reason to give muscle milk genuine protein powder a try. Celebrities and professional athletes love it. Delivers 32 grams of proteins and is rich in vitamins, calcium, magnesium and phosphorous. Promotes recovery, sustains energy and helps you build stronger muscles. Veteran users complain the formula might have been changed. You don’t have to stick to other protein powder if you are lactose intolerant. The source natural pea protein powder is what you are looking for. Not only is it digestible, but is made from plants. This is great news, especially if you are vegan or vegetarians, because finding product that does not come from animal can be challenging. Yellow peas contain highly concentrated protein, making them a great alternative to other protein powder. And it remains in the form that can be used by the body for muscle strengthening and after a workout. 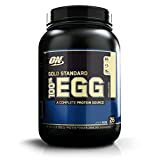 Optimum nutrition choose egg as a main ingredient in this product. If you still doubt that, a little research will tell you that eggs are easily digestible compared to other proteins. Best of all, they offer lots of essential amino acids to the body. Their eggs are free from lactose which makes it excellent if you are lactose intolerant or fitness enthusiasts. Reading its manual, you’ll find interesting information. First, you are guaranteed nutritional value of 7 eggs, which is equivalent to 24 grams of protein. 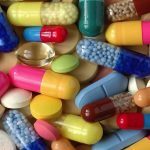 Here’s one thing we can agree on, most supplements sold today have no certifications from recognized bodies like Good Manufacturing Program (GMP). And if they have, it is only from one body. But this scenario doesn’t apply to optimum nutrition 100% Egg protein, vanilla custard. Before this product came to the market, it underwent several certifications to make sure it is safe to the public. You’ll find that it has certification from Good manufacturing program, The public health and safety company NSF International. There’s lots of reasons to have confidence in Optimum nutrition 100% egg, protein vanilla custard. This is an excellent choice for vegans or vegetarians because soy is a plant-based protein. You never have to worry about Soy Protein if you are completely lactose intolerant or other protein powder don’t won’t work for you. A good soy protein powder like Bulk supplement offers 20 grams of protein and you can take with any servings. The bulk supplement contains isoflavones, which have cardioprotective properties. 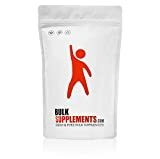 Whether you have a heart condition or not, you can take this bulk supplement knowing that your heart is healthy all the time. We all know most protein powder will taste awful without fillers, flavor, sweeteners or fluffy, right? Not the case of bulk supplement, because it has none of those. And this makes it perfect for people who enjoy eating “clean eating” or organic connoisseurs. Because it lacks tastes, feelings, you can mix with anything-from shakes to creamy to supplements. 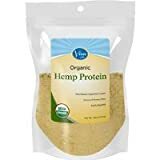 If you have respect for animals like vegans or vegetarians, a plant-based protein powder like the viva labs-15g organic hemp is perfect for you. Other protein powders my offer you more grams, but Viva hemp protein powder offers you 15 grams of protein per servings. So easy to use and offers the choice to mix it your favorite smoothies, recipes, shakes, muffins and protein bars. In fact, you can bake it and create nice healthy cakes with it. There are lots of things you can mix with Viva labs-15g organic hemp. A big plus is, it curbs craving, which makes it great for people who want to lose weight. Because it comes from plants, this product is vegan-friendly and lactose-free. Finally, and most importantly, you comes with fiber, which makes it highly digestible for people with sensitive tummies. Whether you are here shopping for best cold processed protein powder for lactose intolerance or doing your own research. You’ve at least learned that choosing a protein powder that will go well with you is not easy. Not only is your budget a priority, your healthy also plays a key role. The good news is, using this information you choose the best protein powder for yourself or any of your loved one. You don’t have to spend more time on research, you have all the information you’ll ever need about choosing a protein powder.